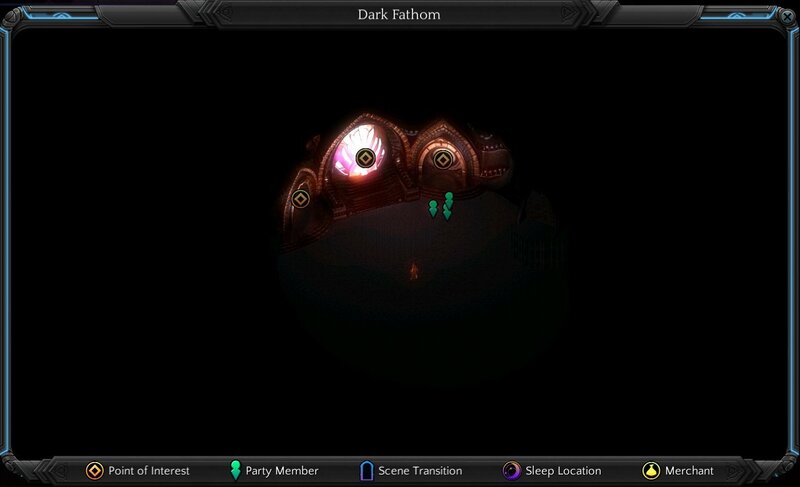 Dark Fathom is a location in Torment: Tides of Numenera. Before you open the gate in middle, you need to enter two Meres first. Form these meres you will learn what actually happens at the start of the game, why were you falling from a moon. When you open the gate in middle, Changing God shows up, you need to stop him or persuade him that real Changing God is already dead. (Or you are the real Changing God, he is just a backup) Successful persuasion will gain 100 XP. Now enter the middle gate, The Sorrow is waiting. It will explain why it kept hunting Changing God and Castoffs, and offer you some choices. You can chose to absorb all Castoffs into you, or Matkina, or Changing God's daughter. Or use Resonance's power to attack the Sorrow. Or change nothing, let the Sorrow's hunt continue.